Register now for the 2019 Reunion in September! 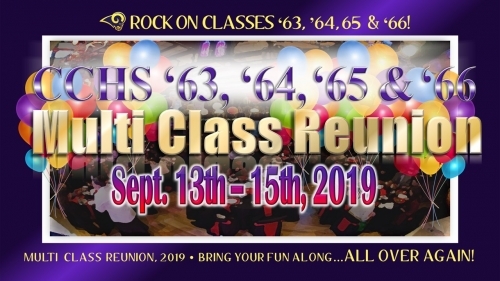 Our 55 year reunion will be held on September 13-15, 2019, at the Crowne Plaza in Suffern. 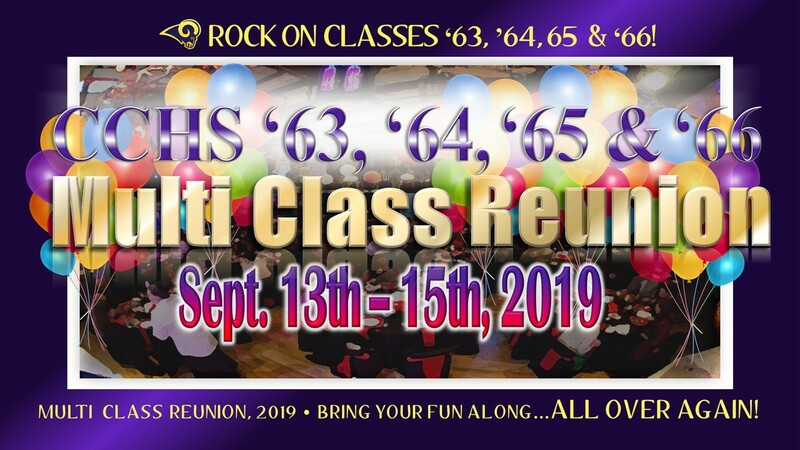 Planning is well underway and don't forget, we will be joined by the Classes of '63, '65, and '66 for a super combined reunion weekend together! And to make sure we save you a seat in study hall, we recommend that you REGISTER NOW by CLICKING HERE! In the meantime, if you have any changes to your contact information, please let Steve Gartrell know at cchs64gartrell@gmail.com. Hope to see you in September 2019! Frank Eberling ('64) has thrown down the gauntlet! Can you share an essay or story about your CCHS experience? Go here to see his contributions to the genre and to see how you can submit your entries.